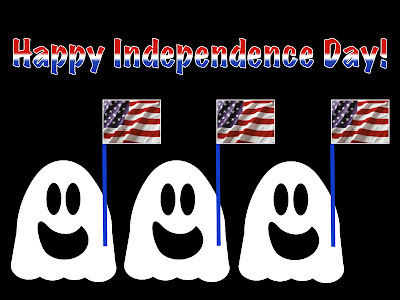 Three Ghost Friends: Happy Independence Day! Three Ghost Friends wish everyone a Happy Independence Day! We hope everyone has a safe and enjoyable day with their family and friends. Happy 4th to you and your family!!! Hope you have a fun and safe day!! We had a wonderful 4th of July! Thank you!